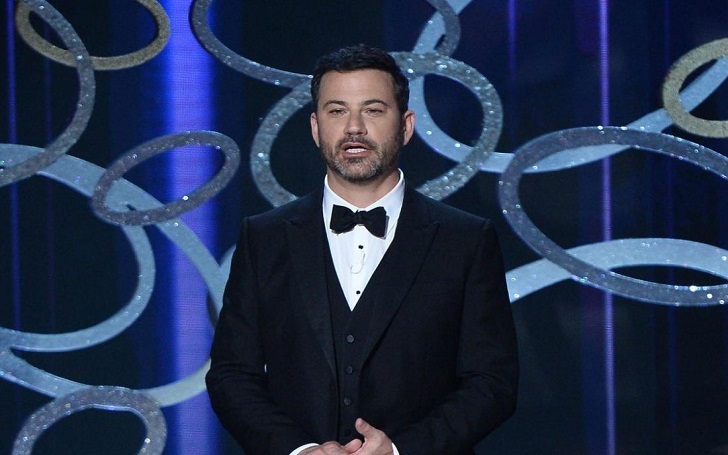 Jimmy Kimmel, Alyson Hannigan, Brad Paisley and Jason Sudeikis are set to appear on The Gong Show, ABC announced on Wednesday, May 2. Four of them will join Will Arnett, Dana Carvey, Rob Riggle and Ken Jeong as judges for the season 2 of the show, which will air from June 21. Canadian comedian Mike Myers will host the show, played a British character named Tommy Maitland. "Performers, such as contortionists, singers, magicians, dancers, jugglers and dancing dogs, are just some of the dozens and dozens of acts that are set to impress our panel of three celebrity judges. If any of the judges deem an act to be less than worthy of a score, they can pick up a mallet and hit the giant gong that is hanging behind them and end the underwhelming performance,"
"But if the judges are happy with the act, they will let it play out until the end and present their scores numerically from zero through 10." #Kimmel tonight Mike Myers #TheGongShow, Zazie Beetz #Deadpool2, @SugarlandMusic #Bigger & an EXCLUSIVE chat with @RealDonaldTrump's doctor! The act with the highest score claims the glory, winning a trophy and cash prize.